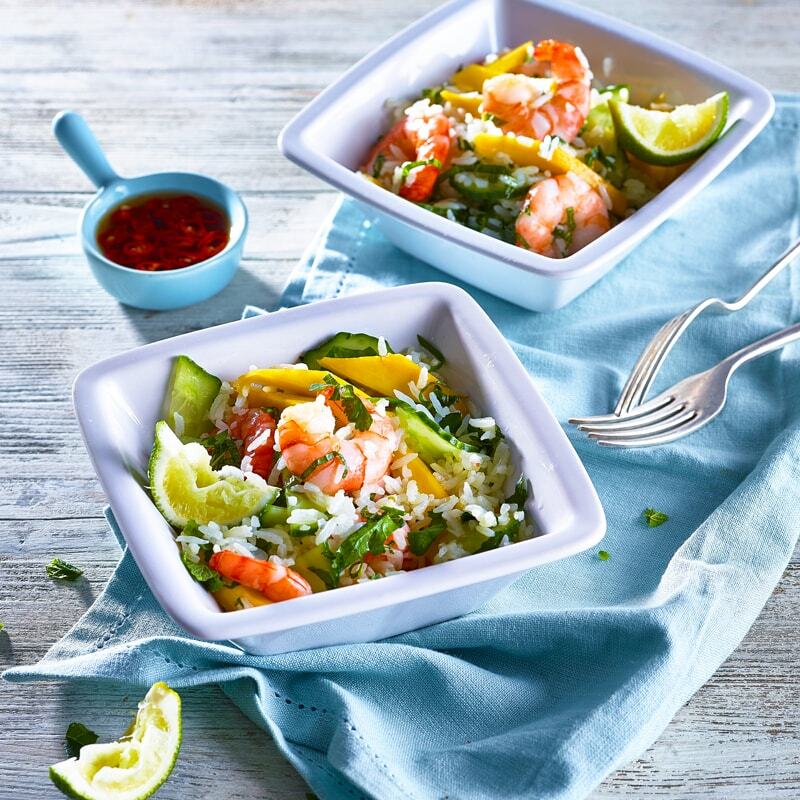 A zesty, refreshing Thai salad with succulent shrimp and juicy mango pieces. Perfect as a starter or as a light, summery lunch. 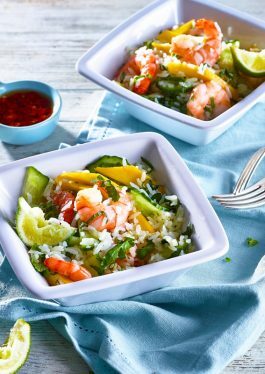 Toss the mango, cucumber, mint leaves and shrimp into the rice and dress with the fresh lime juice. Serve. Tips: A mixture of herbs such as Thai basil, mint and coriander work well in this recipe. If you have some coconut milk or cream to use up – add a few tablespoons to the rice with the lime juice for a creamy flavor.